NEW YORK, March 26, 2019 /PRNewswire/ -- Worldwide demand for zinc chloride is expected to grow rapidly, owing to its wide application in manufacturing batteries, increasing use as coagulant in textile dyes and treating dry sludge generation, and increasing use of zinc chloride as catalyst in various industries. 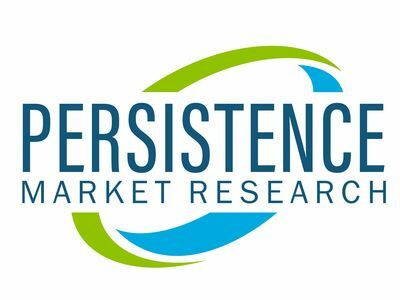 The zinc chloride market is projected to reach US$ 426.4 million by the end of 2028, according to the latest report published by Persistence Market Research (PMR). The demand for battery grade zinc chloride is growing owing to its increasing use in the manufacturing of batteries used in electronics and automotive industry. Zinc chloride batteries are emerging as one of the most promising systems for medium to large energy storage application owing to the benefits in terms of energy density, cell voltage, and cost. The shift in the automotive industry from zinc carbon batteries to zinc chloride batteries is also creating opportunities for manufacturers in the zinc chloride market. Manufacturers are developing zinc chloride batteries on a large scale as it is inexpensive to produce, thereby, making it most affordable batteries in the market, finds PMR analysis. According to the PMR study, technical grade and commercial grade zinc chloride are likely to witness significant growth owing to wide application in electronic and other industries. Moreover, growing demand for catalyst in the industrial application and in the automotive industry is likely to drive the growth in the zinc chloride market. Owing to the various advantages associated with zinc chloride, it has been explored as a powerful catalyst in various organic transformations, including textile processing and chemical synthesis. As per the PMR report, growing demand for zinc chloride in the textile and chemical industries is due to the increasing use in these industries. Zinc chloride is widely used in textile industry including textile finishing, coagulant for dyes in textile, and fabric refresher by removing odor. Meanwhile, aiding in the odor control, the wastewater treatment facilities are using zinc chloride with sulfide to minimize the release of H2S gas. On the other hand, zinc chloride is also largely used in other applications including organic synthesis, liquid fertilizers, and preservatives for wood. According to the PMR report, China and India is likely to hold maximum share in the zinc chloride market. China is expected to witness significant demand for zinc chloride from agriculture and chemical industry owing to wide application in the production of liquid fertilizers and organic synthesis. India is also likely to emerge as the high growth country with increasing opportunities for manufacturers in zinc chloride market, especially in the textile, chemical, and automotive Industries. The region is also the production base for majority of the manufacturers in zinc chloride market due to low production cost and low labor cost. With high production of zinc chloride in APEJ, the region also accounts for the export of zinc chloride to various countries. As per the PMR report, manufacturers in the zinc chloride market are targeting untapped potential across emerging economies of Latin America and MEA, as these are under-penetrated markets with progressive growth in per-capita income of consumers. Meanwhile, leading companies are planning to increase investment to expand the sales and production in major zinc chloride exporting countries including China, US, and Europe owing to the major dependence of countries such as Brazil, ASEAN, and others for import of zinc chloride. Meanwhile, offering industry specific products remain key to consolidation in the zinc chloride market. However, the zinc chloride market is likely to face various challenges as the high toxicity nature of zinc chloride can result in the irritation of eyes, skin, and respiratory system. Moreover, it can cause various health problems depending on the exposure.